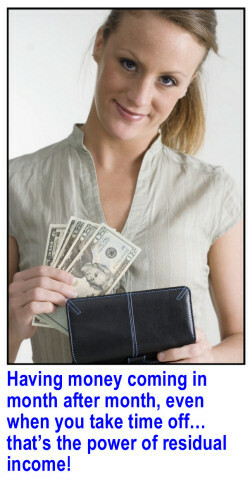 There are four main ways Consultants can earn income with Watkins. Your first benefit as an Independent Watkins Consultant is the discount you get when you order Watkins products. 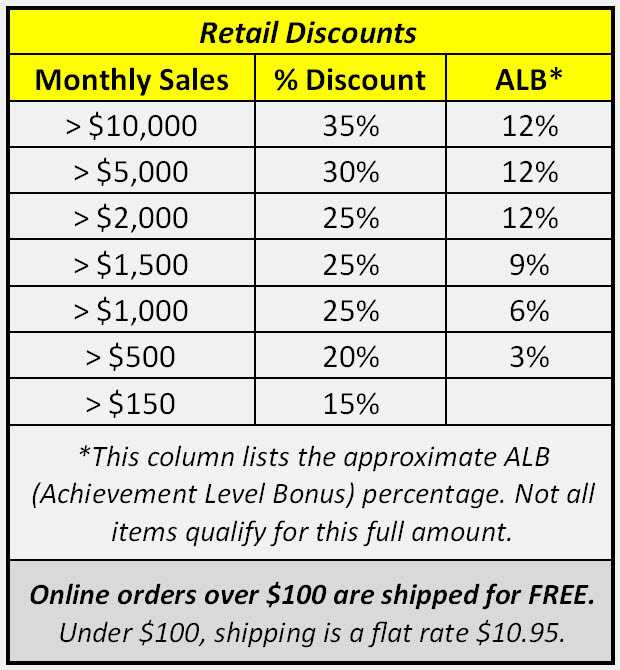 Whether you're going to sell the products to customers, use them in your own home, or give them as gifts, you get an immediate discount each time you place an order, as shown in the chart to the right. If you place several small orders during the month (or have customers who order direct from Watkins using your ID number), Watkins calculates your total sales after the end of the month. If your total sales qualify for a higher discount, then Watkins makes up the difference to you, so that you ultimately earn that higher discount level on all the orders. You earn achievement level bonuses once your group volume has grown past approximately $500 (slightly higher in Canada) for the month. The first benefit of reaching these levels is that you earn additional profit on your own sales and products you buy for your own personal use. Recruiting other team members can help you reach these achievement levels, but is not required—you can reach any of these levels based only on your own sales volume. If you choose to expand your team, you can earn bonuses from Watkins on the results of your overall team, not just on your own sales efforts. It's Watkins' way of saying "thanks" to you for helping increase the number of members and the number of customers those members are reaching. What's really cool is that your team members would likely continue their selling and sponsoring even if you took time off for your family, a vacation, or other priorities. Because your team would still be helping Watkins get products to families, you can continue to earn bonus income even when you're not working. That's called "residual income" and it allows some members to earn more than they'd ever earn at a traditional job. Regardless of which business methods you choose, everyone starts from exactly the same place, with no customers and no team members. You progress to higher levels based on your achievements. You may be content just getting the discount on your own purchases. You might want to sell products to generate profits of up to 47%. Or, you might prefer the flexibility and residual income that comes from helping more people learn about the Watkins business, which can result in bonuses that typically average 5% to 10% of your team's overall sales/use. Certainly, not everyone who joins Watkins reaches the highest levels of success, but what's great is that those who put forth any level of effort can be rewarded for those efforts. Plus, you don't have to be shooting for the top in order to benefit from this business. Many members just want to give their families a little extra buffer in the monthly budget. That's perfectly fine—there are no mandatory requirements for members. Even at lower levels of success, many members have been able to earn a consistent income that can help cover a car payment; pay off a credit card; add to a college fund; or provide for fun family outings with cash left over. The beauty of this business is that you get to decide how much effort you'll put forth, and how much success you want to pursue.